Making physical improvements to your commercial building is one of the leading ways to increase its value, and adding a new roof to your building is an investment that will last for decades to come. Of course, though, an intent to sell is not the only reason to make sure that your building is in good shape. People consider roof replacement for a variety of reasons — the list can go on and on. Sometimes, the roof is no longer structurally sound. In other cases, you may simply want to switch up the look of your roof because it looks dated. Maybe you’re concerned that your current roofing materials can’t stand up to the climate that you live in. Or, maybe, your roof simply needs to be replaced, because normal wear and tear have finally taken its toll. As you can see, there are a lot of things to consider when understanding how to replace a roof. Read on to learn what you need to know before you make the investment in a new roof. 1. How Long Does a Roof Last? Let’s start with the most basic reason why you should get a new roof: because it’s simply time for a replacement! Of course, a more specific timeline will depend on the type of roofing materials that you’ve chosen. If you’re working with asphalt, it may need replaced roughly every 15-20 years. TPO and PVC may last you a while longer, averaging 20 to 30 years before you need to consider replacement, while metal roofing systems can get you well over 50 years if installed correctly. If you need to, contact the previous owners of the building, and ask them if they know the date of the last roof replacement. It goes without saying that if there are obvious signs of damage, you will need to work faster than anticipated. If you suspect or notice issues, schedule a professional roof inspection to help determine whether or not it’s truly time to install a new roof. If you notice any of these issues, act quickly — the problem may able to be repaired without you having to replace the roof completely. A professional maintenance plan may work to spot and repair problems before they become major issues. According to the U.S. Army Corps of Engineers and the American Institute of Architects, an effective roof maintenance plan may reduce commercial roof leaks by up to 70% and fully double a roof’s life expectancy. 2. How Does Climate Make an Impact? You already know that the materials used to replace your roof need to match the overall design of the rest of your commercial building, but have you also considered the climate? Your climate and the environment surrounding the building are important factors. You want to consider the durability of the various roofing materials that are appropriate for your roof slope, knowing their individual pros and cons. Which ones are most susceptible to the elements? Is your building in the center of hundreds of trees? If so, you’ll want to steer clear of materials that puncture or tear easily. 3. What Should You Look For in a Roofing Company? Of course, the most important part of understanding how to replace a roof is making sure that you’ve hired experienced and qualified professionals to get the job done. Make sure that you never accept a quote from a roofing company before they’ve come to complete an inspection of your commercial building. And, remember the golden rule of roofing — if a price seems too good to be true, then it probably is! Your estimate will include labor, the cost of materials, the shipping of those materials and much more. Ask to see a breakdown of what goes into the estimate and (this is important!) proof that they’re insured! If a worker gets injured on the job while working on your roof, you don’t want to be held financially responsible. In addition, make sure that you ask about any kind of certification and training that the roofing company has, and take time to connect with a minimum of two references that the roofing company has worked within the past. This will give you a much better idea of the level of service and the quality of the work you can expect to get. Ask previous customers if the project was completed on time, if there were any hidden fees, and if they were happy with the results. If they can’t give you any references, then it’s time to run for the hills — go with another company! 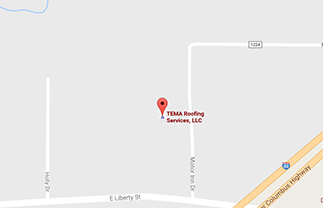 Need Help Installing a New Roof on Your Commercial Building? We hope that this post has helped you gain some key takeaway points in planning for your commercial building’s new roof, whether you’re looking for immediate help or creating a five year plan! Things like the overall lifespan of the new roof and the materials that fit your roof design/climate are essential things to consider, along with the quality and expertise of the commercial roofing contractors out there! A quality professional will guide you through the process (whether it’s a full replacement or just a repair) and supply you with a wealth of information about the roofing systems that will best suit your individual needs. Whether you’re in need of commercial roof restoration, inspection or a full build or replacement, we’re here for you. Get in touch with us today to learn more about how to get started.